Why I should prefer a dedicated server? In this modern world information and technology has changed the way we live. Everything is digitalized and one of the most important factor is world wide web. Now days every information is accessible through www just by a simple click you can get the information of everything from anywhere. But this easiness has lead to serious question of security. If you are running a cool business on internet then you must know about the fact that how important is it to protect your data from the hackers of the world. Well it is quite challenging task to protect your data from hackers if you have a normal hosting. Now in today’s digitalized business environment dedicated server has played a great role because it protects you from being hunted. You may think what a dedicated server is. Well in this question I need to say that a dedicated server is just a way of hosting your website where you can own the entire server. You need not to share your server with anyone and it is highly personalized. Well if we need to classify a dedicated server then we can say that there are two types of dedicated server i.e. managed and unmanaged dedicated server. You can distinguish the difference between them from their name. In unmanaged dedicated server you will get an actual server and necessary equipments to set up your sever well in case you are from technical field and can fix them then you can use it. Another is managed dedicated server, where you will get an actual server with some aids to fix it and make it function properly. If you are not from the technical field then you can try managed dedicated server and you need not bother with your servers anymore. However as the facility increases cost also increases so you need to pay slight more for managed dedicated server than an unmanaged dedicated server so if you have the ability to make unmanaged dedicated server functional then you can prefer it otherwise pay more and use managed one. You may guess why should and when should I use dedicated server well in this case in the former why should question I must say to protect your data and entire website from being owned by others and in the later when should question I must say if you are running your entire business in the digitalized form then you should use a dedicated server. In addition if you have great traffic in your website like of <4000 per day unique visit then you can use a dedicated server or if your website is slowing down due to any problem although you have used precautions then you must use a dedicated server. 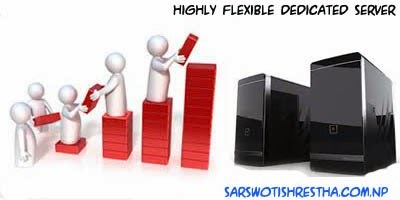 In case of dedicated server you become the administrative of entire hardware performance and effectiveness. You will never find any of your neighbors wondering around in your server and have a great secured database management. Dedicated server hosting is far better than a virtual private server and shared hosting. Well to find the dedicated server hosting provider you need not to put much effort just Google it and you will find plenty of the hosting providers know their plans and prices and according to your level choose one of them and enjoy with your dedicated server and use them without any fear of being hacked.